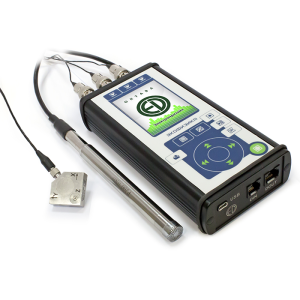 New generation of multichannel sound and vibration analyzers. Ekophysika-110A-HF is a four-channel advanced measurement systems. It meets requirements of class 1 sound level meter, human-vibration meter, 1/n octave band analyzer. It can measure signal levels for the frequency range of up to 400 kHz, and operate as a 4-channel digital data recorder.